Inline Policy Founder, Shomik Panda, takes the long view of the regulation of short-term accommodation rental platforms and how the sector is working to become more sustainable. I first started working on the regulation of the collaborative economy in 2013, when Inline Policy was in its launch phase. I had seen this exciting sector emerge and it was already clear then that existing regulatory frameworks would not be sufficient to support the future development of the sector. I was privileged to work with a number of the larger online platforms in the UK short-term accommodation sector in 2014, just as the UK began to update its own regulatory frameworks to accommodate growth in the London market. At that time Airbnb, HouseTrip, HomeAway and onefinestay were among the more active players in this market. It was an exciting time. These platforms were growing rapidly and changing the way we could all travel. It was also illegal then to offer your property as short-term accommodation in London without planning permission, so an increasing number of people were breaking the law, often without knowing. The companies set about educating the UK government on the pitfalls of existing regulations. A more open framework was required which would encourage the growth of the sharing economy and make the UK a magnet for platforms offering these services. Following this campaign from the industry, the business-friendly Cameron Government, were broadly supportive of regulatory change and set about amending legislation in London. New rules were put forward that would allow the short-term letting of one’s property for up to 90 days in a calendar year, beyond which planning permissions would be required. This was a pragmatic liberalisation that was fast-tracked via the UK Deregulation Bill of 2015. The industry lobbied hard to secure this change and fought off more restrictive suggestions in both the House of Commons and the Lords to ensure that these plans eventually became a reality. A lot has changed since London implemented its rules for the sector in 2015. Numerous city regulations have emerged throughout the world, some more restrictive than others. While some regulations are focused on regulating against a specific problem, others are more focused on providing clarity where a legal grey area had emerged. A mix of regulations has quickly developed across global cities, some using day limits, others introducing registration and licensing schemes. Some cities have limited the number of guests and frequency of occupation, or specified rules in the home being let-out, or a combination of the above approaches. It is not just the regulatory situation that has evolved. The marketplace has changed too. Just a few years ago there were a handful of internet platforms in this market, connecting hosts and guests; alongside a number of traditional operators that were making the transition from offline to online operations. Fast forward to today and these platforms have spawned a thriving ecosystem of those supplying services in the home or to the homeowners – property managers, cleaners, linen providers, short-let mortgage and insurance providers, to name but a few. Earlier this month I attended the Short Stay Show in my capacity as Director-General of the UK Short-Term Accommodation Association. I was thrilled to see how such a thriving sector had developed and evolved in such a short period of time. One obvious consequence of this sectoral evolution and growth is that many authorities have started to look again at regulation of the sector. In addition to the growth of the sector, there are also additional drivers for an increased focus on regulation. Some local authorities have complained that existing laws are unenforceable, governments want to get their fair share of tax take, some communities are getting restless, particularly those affected by ‘over tourism’ and transient populations in cities where housing stock is scarce, and hotels and B&Bs want to see a playing field where rules that are applicable to them also apply to those letting out their homes. A regulatory distinction between those renting in their primary residence, those renting their secondary residences, and those renting on a commercial basis. Commercial activity may need further permission or licensing with additional regulatory burdens. Increased oversight from authorities in the form of registration schemes. Some jurisdictions go beyond this and are asking for declaration of length and duration of stays; or for data to be provided by platforms to help them enforce laws. Taxation data from platforms. As the home-sharing phenomenon becomes more mainstream authorities also see an important taxation revenue stream that needs to be captured. Increasingly they are striking deals with accommodation platforms to help collect and remit taxes where these are due. Tourism taxes. These are not particular to short-term accommodation, but more are being introduced or extended to cover the short-term accommodation sector. Cities with their own distinct policy priorities are co-ordinating and lobbying hard for new powers to regulate the sector. Rules in the home. Some jurisdictions are specifying minimum standards in homes that are offered for short-term accommodation. The trends are not just regulatory. Some policy concerns are not necessarily best addressed by top down regulatory solutions and the industry has begun to fill this vacuum with a mixture of both co-regulatory and voluntary initiatives. Examples include the development of educational initiatives in tandem with authorities to ensure that hosts are aware of their legal obligations and, beyond this, what being a good host looks like; the development of kite marks and accreditation schemes to ensure that hosts’ standards are being driven upwards; the sharing of appropriate data with authorities upon request; and the voluntary capping and de-listing of properties from platforms when day limit regulations have been reached. The UK Short-term Accommodation Association (STAA) has led in this regard and I am proud of the initiatives that this group of companies has driven in a very short period of time. The Association has, for instance, launched a Considerate Nightly Lets Charter with Westminster City Council which can now be launched in any Council across the UK. The Charter is a document that informs all Westminster residents of what they must do if they are short-term letting, and beyond this, what they should do in order to be considerate to their neighbours. The STAA has also launched a similar ‘best-practice’ template aimed at those letting apartments in buildings where there have been complaints over residential amenity. This document is available to any buildings manager that wants to disseminate a set of do’s and don’ts to residents who are looking to let or sublet their homes; and can be used by any building manager across the UK. co-regulatory initiatives that have been put forward by the industry to help government with the enforcement of day limits, which include platforms potentially capping and de-listing of properties once limits have been reached. This type of industry activity will doubtless be adopted across geographies and adapted to various sharing economy silos if not now, then in the near term. Tourists want to be able to access a different form of tourist accommodation that is often cheaper, more family-friendly and unique than traditional hotel alternatives. Amateur homesharers would like to occasionally make additional income by making better use of their homes when they are being under-utilised. Corporates, such as property managers, platforms and serviced apartment providers need a relatively open market to be able to operate profitably and provide the services that many consumers want. Governments are keen to be able to have oversight of short-letting activity so that they receive the correct level of tax; and so that their laws are being abided by and can be enforced against. They also should want to promote the more efficient use of existing housing via home-sharing as this can help alleviate the need to build more houses to accommodate tourists and is therefore also more environmentally friendly. Local authorities want additional regulatory powers in areas of pressure in order to intervene where market failures may have occurred. They also want to be able to better enforce local laws and in some cases to restrict the market. Communities and residents want their lives to not be negatively impacted by short-letting happening in their proximity. So how can these competing concerns and wishes be reconciled? Tourism is a key EU growth sector and short-term accommodation will play an increasing role in ensuring that Europe remains an attractive tourist destination. The market should be kept open and promoted, within certain limits. Having a clear, simple and fair regulatory system encourages sustainable growth and investment in the industry. Overly tight restrictions such as bans of short-letting will lead to housing market distortions and move the activity underground on to unregulated platforms. The policy issues that are related to this sector are varied and often apply in isolation rather than together. ‘One size fits all’ regulatory solutions don’t therefore tend to work for this industry. Regulatory frameworks need to be sufficiently robust and flexible to avoid regulatory fragmentation which would lead to compliance difficulties; but also allow for areas under pressure to apply for exemptions or opt-outs if necessary. Amateur hosts should be allowed to short-let freely where they are resident but must be treated as professionals if they are doing this in places where they are non-resident for some part of the year. Commercial actors in the collaborative economy need to be identified, taxed and regulated as such. They may also need permissions to operate, for example in some urban areas so that housing stock concerns can be dealt with, and may also have to adhere to some more onerous property regulations if operating as a business. Governments may need additional oversight via registration schemes or other means to monitor commercial activity in particular, so that adequate tax receipts from income, VAT, business rates, corporation and tourism taxes are gained. These receipts can and should, at least in part, be used to resource the enforcement of laws relating to short-letting. Local authorities should get a share of tax receipts from city tourism taxes to help adequately resource their enforcement efforts. Residential amenity concerns are best dealt with together by industry and government educational initiatives at a local level. Penalties are also imposed on hosts by the industry and government in cases of wrongdoing. Platforms should share data with authorities where illegal activity has occurred to help enforce the law. To me these principles form a pragmatic and fair mix of solutions and outcomes that ensure most actors related to the sector get their desired outcomes whilst also having to make some sacrifices. I would hope that such a combination of industry and government activity will form the basis of a thriving and sustainable short-term accommodation market well into the future. 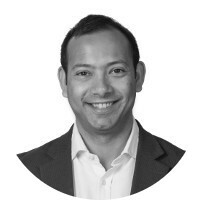 Shomik Panda is Managing Director of Inline Policy and Director-General of the UK Short-Term Accommodation Association. Shomik is an experienced adviser on EU and UK digital issues and the founder of Inline Policy. How can the financial services sector help reduce asset inequalities faced by Generation Rent?